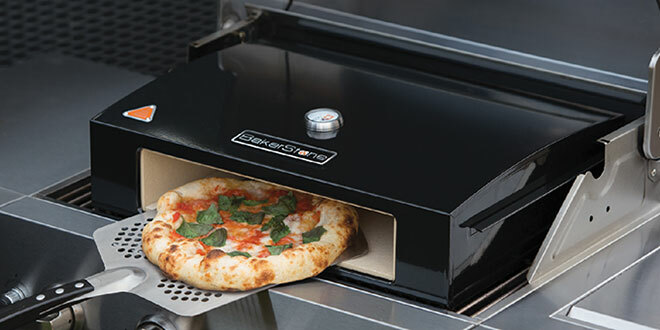 The Pizza Oven Box allows three-burner and larger gas grills to cook pizza, breads, cookies and roasted items by increasing the temperature range available on a grill. The box reaches temperatures found in a woodburning pizza oven using combined convective, conductive and radiant heat. Pizzeria-style pizzas can be cooked in two to four minutes.